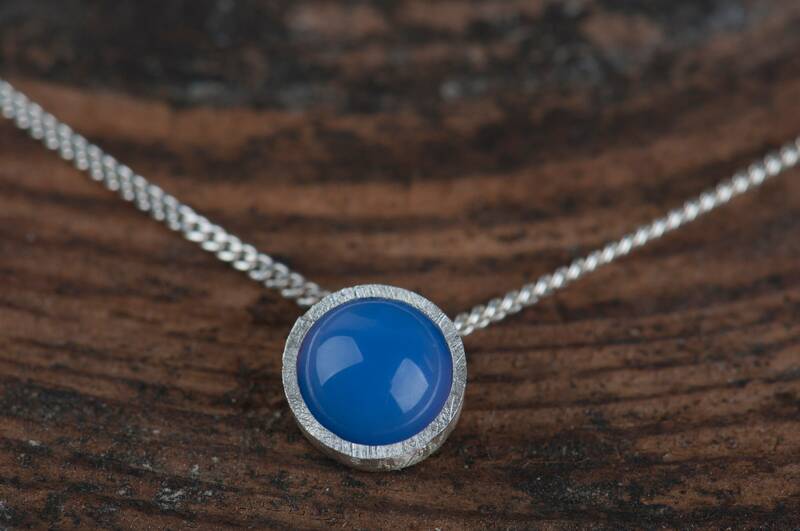 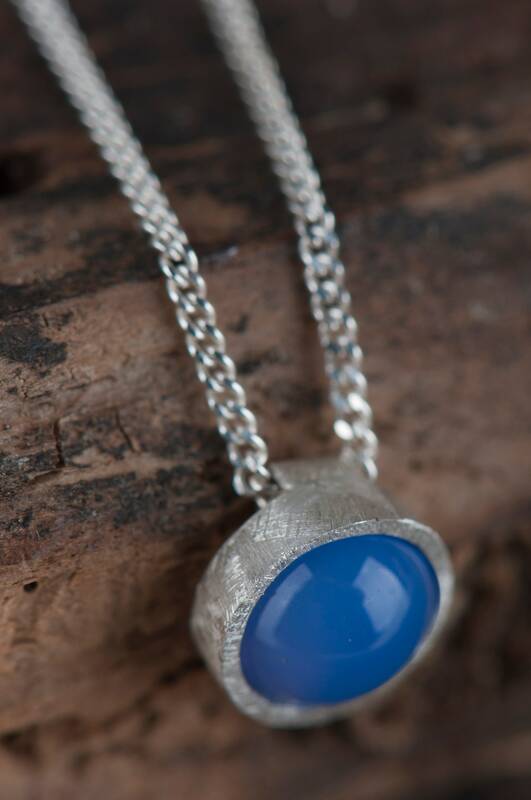 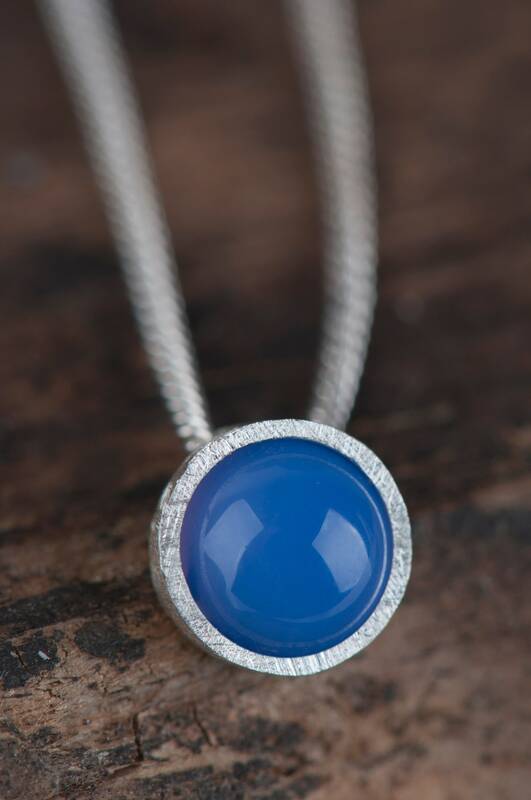 This blue agate tiny necklace was designed as a simple and joyful gift idea. 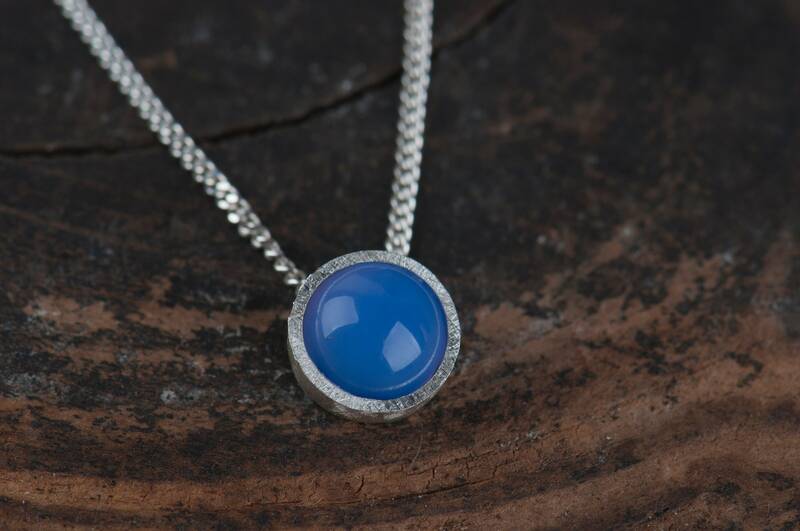 I intended it as something small and a cheerful treat for a friend or simply for yourself (because it's good to be friendly and do something nice for yourself, don't you think?). 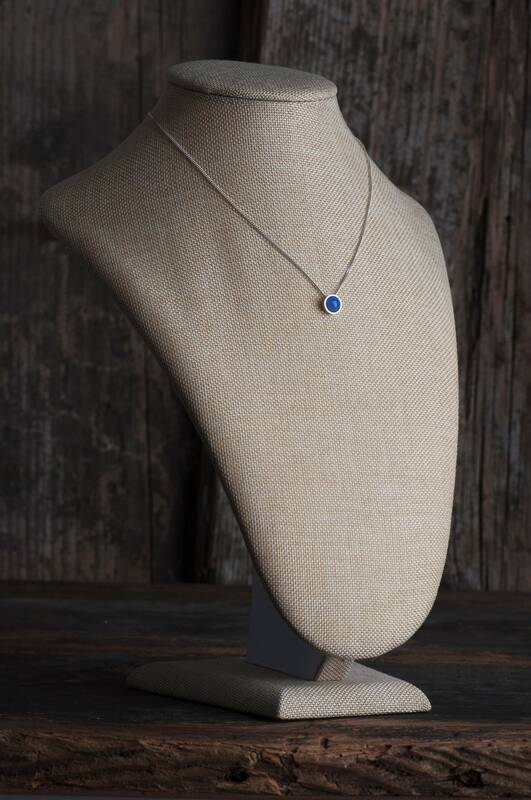 This dainty pendant can be perfect everyday jewelry - delicate and teeny tiny but also eye-catching because of intensity of color. 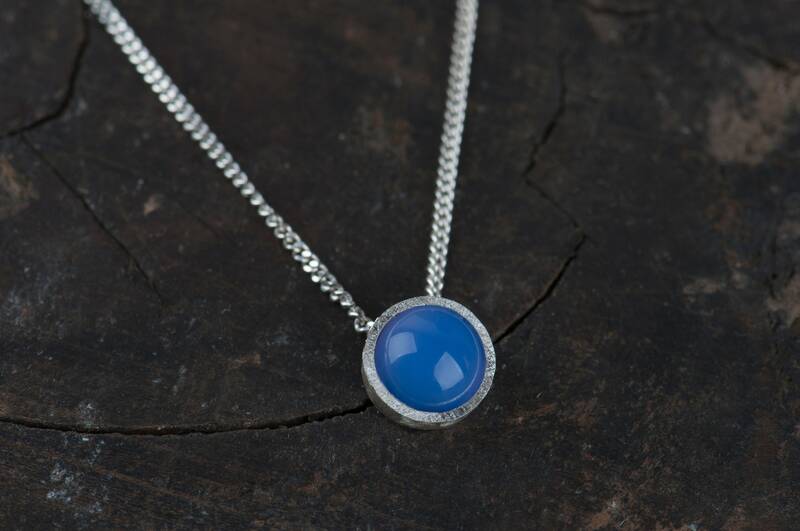 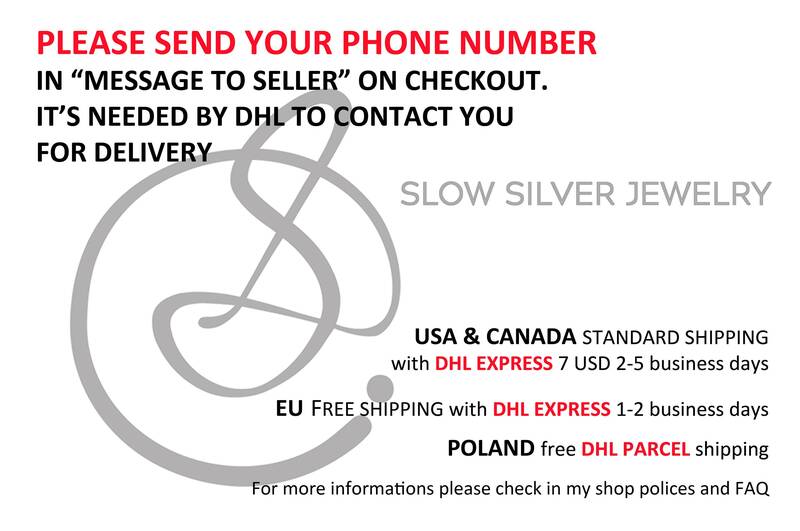 * Optional: precious white rhodium plating which makes the surface of the pendant more durable and tarnish free. 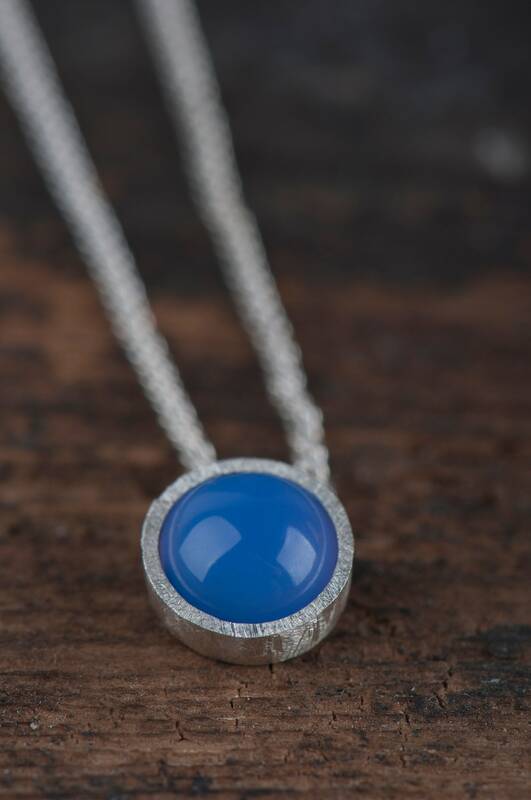 This tiny blue necklace is handmade and I need up to 7 days to finish it. 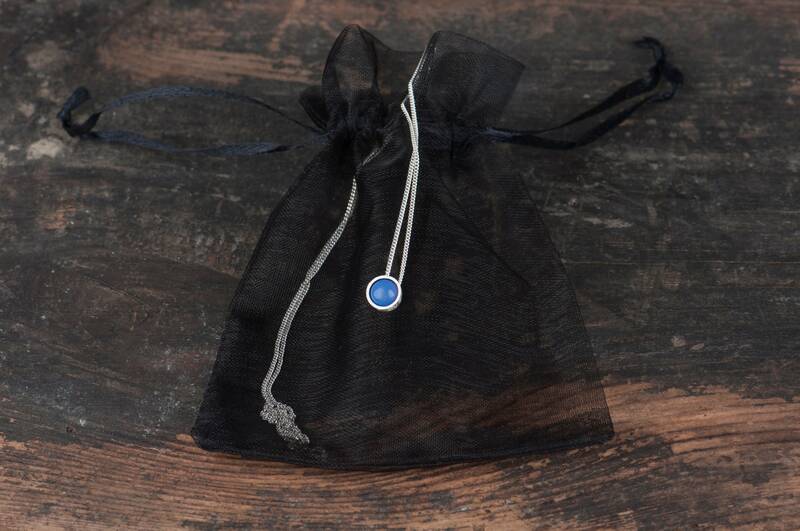 The pendant will arrive in a black jewelry pouch.